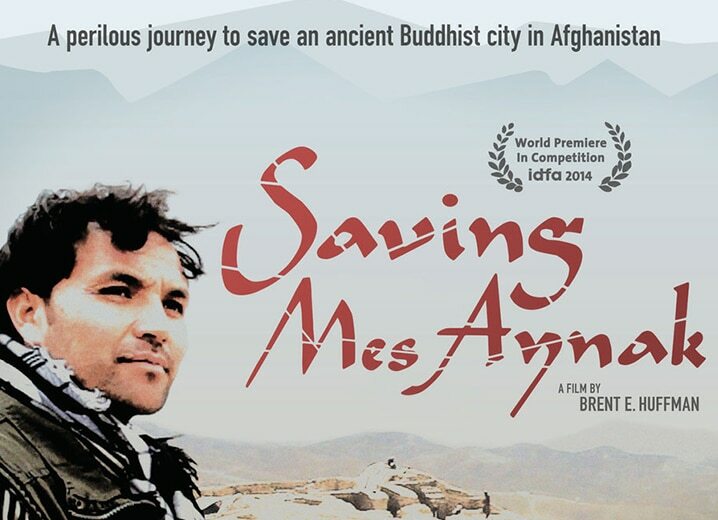 As part of the Gandhara Connections project, the multi-award winning 2014 documentary Saving Mes Aynak, will be screened followed by an interview with the director Brent E. Huffman.. The event will highlight recent developments and probe some of the complexities of the site’s predicament. This event will be followed by a reception. The film examines the conflict between cultural preservation and economic opportunity through the lens of the Afghan archaeologists and local villagers who work and live near Mes Aynak. Saving Mes Aynak follows Afghan archaeologist Qadir Temori as he races against time to save a 5,000-year-old archaeological site in Afghanistan from imminent demolition. The extraordinary Silk Road archaeological site of Mes Aynak, 25 miles south-east of Kabul is one of the largest and most important in Afghanistan, and includes extensive remains of Buddhist art and architecture from the first millennium. But the vast copper deposits beneath the site, which contributed to its ancient prosperity, also represent a phenomenally valuable resource for a a modern country in need of investment, and in 2007 the site was leased to the China Metallurgical Group for £3 billion. Only 10% of Mes Aynak has been excavated, and some believe future discoveries at the site have the potential to redefine the history of Afghanistan and the history of Buddhism itself. Gandhara Connections is a three-year initiative by the University of Oxford’s Classical Art Research Centre (CARC), supported by the Bagri Foundation and the Neil Kreitman Foundation, to aid the study of the artistic production from the ancient region of Gandhara.